KABUL: Taliban fighters killed a district governor in northern Afghanistan and kept up the pressure to seize control over some parts of Faryab province, ignoring the temporary ceasefire announced by the government that came into effect on Tuesday. 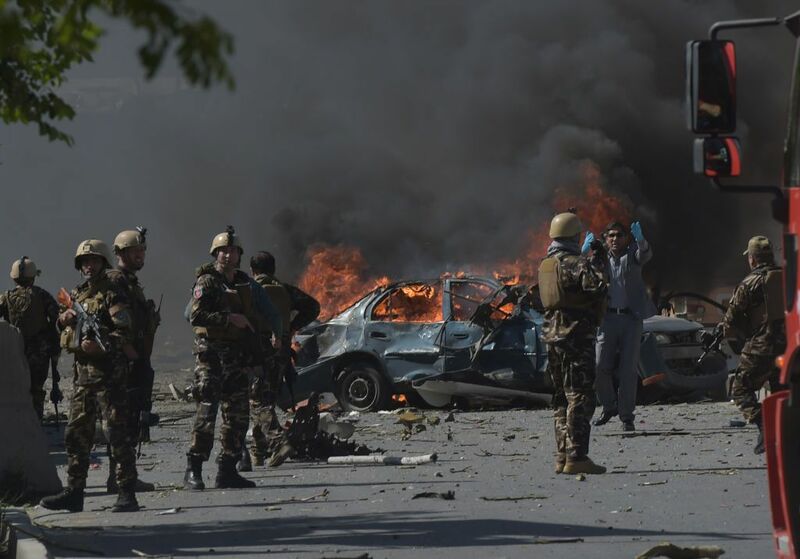 Last week Afghan President Ashraf Ghani had announced for the first time an unconditional ceasefire with the Taliban, coinciding with the end of the Muslim fasting month. In response, the Afghan Taliban announced a surprise three-day ceasefire over the Muslim Eid holiday in the middle of June. The government’s eight-day ceasefire started on Tuesday and the Taliban’s three-day ceasefire will start on Friday. The Taliban has not stopped their attacks. Insurgents killed Abdurrahman Panah, the district governor of Kohistanat district in Faryab province. At least eight Afghan security officials have been killed in the ongoing clashes, two officials said. Javed Bedar, spokesman for Faryab province confirmed the death of a district governor and that the district center had fallen to Taliban. “We know that the ceasefire has been announced but we have the right to defend ourselves,” said Bedar, adding that they were seeking immediate reinforcements. In Ghazni, a southern province, insurgents placed a Humvee vehicle car bomb near the house of a district governor on Tuesday. Mohammad Arif Noori, spokesman for the provincial governor in Ghazni, said the Taliban fighters hit the first checkpoint of a district governor house’s compound that left five Afghan security forces dead and 26 others injured, including the district governor. Fighting was also underway in Sar-e-Pul, a northern province where the insurgents had captured two checkpoints. At the onset of the ceasefire Pakistan’s army chief Qamar Javed Bajwa arrived in Kabul to meet President Ghani. Afghanistan has blamed Pakistan for giving assistance to the Taliban and other insurgent groups. Pakistan has denied the accusations. “Pakistan wishes to see a national unity government in Kabul and US/NATO succeeding to bring peace in Afghanistan,” Asif Ghafoor, the official spokesman of the Pakistan’s Armed Forces tweeted. Ghani in February offered recognition to the Taliban as a legitimate political group in a proposed political process that he said could lead to talks to end more than 16 years of war. The Taliban have rejected the offer.